Is there truth in food labels? Why don’t companies offer full disclosure on food labels? Hopefully, the US Food and Drug Administration (FDA) will do something about that soon, since the food industry doesn’t appear to voluntarily divulge that information. One Nabisco customer service person told me that to disclose that information on margarine would mean Nabisco had to disclose their formula. I don’t agree with that personally so I called back and spoke to another customer service person in my quest for that information. I had the same result. Neither service person would tell me how much hydrogenated fat was in a Nabisco margarine. That is upsetting because, in my opinion, we should have some idea of how much hydrogenated fat we are eating. Even if the FDA does not require it, manufacturers should willingly give it. I understand many Canadian products are beginning to voluntarily give this information. Why not the United States? I called the FDA. They would not answer my questions but did offer to send me literature. Unfortunately, it did not divulge how to determine the amount of hydrogenated fat grams are in a product by reading the label. The food industry has a powerful influence, maybe even on the FDA, and we may wait a long time to get that info on labels. Of course, I quit eating the Nabisco margarine immediately. Now I eat no margarine and am used to that style of eating. But I am still not pleased that I can not find out how many hydrogenated fat grams are in a food product. 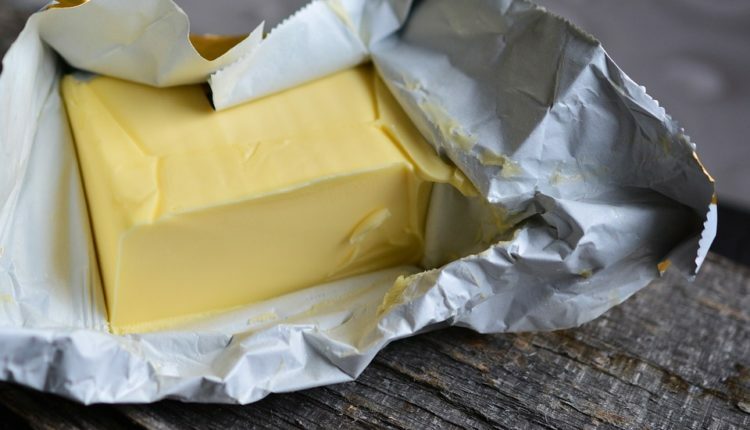 How can we determine the true fat content of a food item for ourselves? One hint: Remember that the list of ingredients on labels is in order from most prevalent by weight to least prevalent. At least you will have a slight clue as to how much hydrogenated fat you are consuming. Unfortunately, that is just one of the problems with labels and fats. Be wary of products labelled “fat free”. While we may think we are making a healthy choice when choosing “fat free” products, these products often contain the same amount of calories as “full fat” products. This is because companies will compensate for the lost taste of “fat free” foods by adding more sugar. More additives and sodium are also added to these products to make up for lost taste and texture. Think “good fat” instead of “fat free”. Consuming fat is hard to avoid, but if you change your mindset on the types of fat you eat, you can make healthier and more nutritional choices. Good fats include the monounsaturated fats that are found to lower bad cholesterol (LDL) and raise the good cholesterol (HDL). Polyunsaturated fats, such as those found in fatty fish like tuna and salmon, are also good fats that help to lower LDL cholesterol.